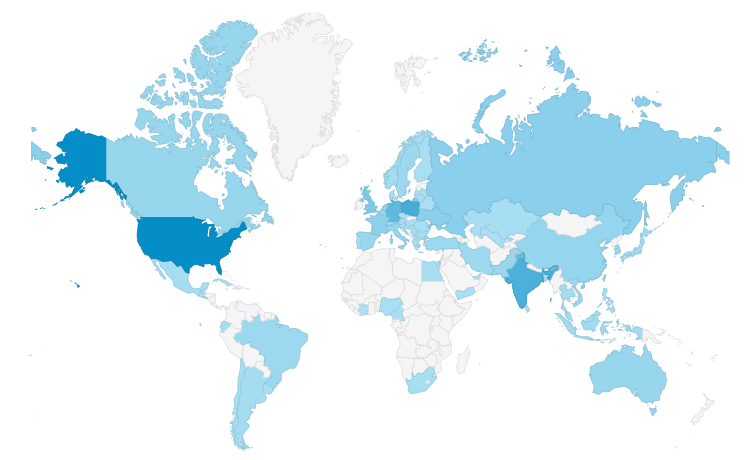 mXparser – 1000 downloads ! I am happy to announce that first milestone was achieved – as of today mXparser has 1000 unique downloads, and the number is growing! This is very exciting, especially considering questions you asked and feedback I gained. mXparser seems fits your needs providing the same API for JAVA, Android and .NET (including MONO). Single framework / technology days have gone away, and are not coming back, meaning cross-platform apps are with us for good. 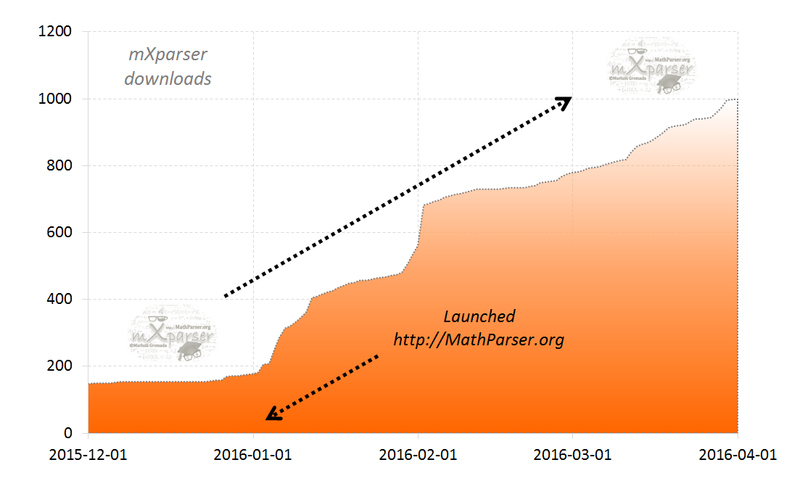 mXparser downloads were significantly boosted after launching http://MathParser.org site, amazing! Thank you Google! The mXparser package is now available on the nuget.org site.